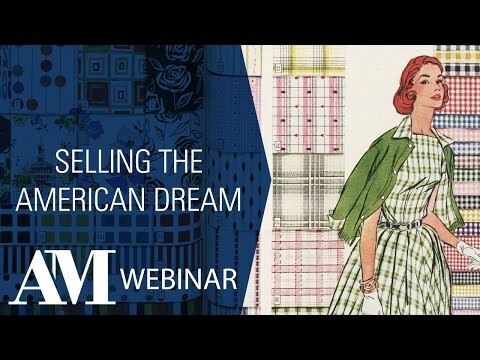 Explore domesticity, daily life, consumerism and technology in America between 1850-1950. This collection presents a wealth of highly visual trade catalogues, cards and marketing ephemera, tracing the rise of the ‘American dream’ and evolution of commerce throughout the nineteenth and twentieth centuries. The content is sourced from three of the pre-eminent collections of trade literature in America: the Lawrence B Romaine collection at UC Santa Barbara, the Hagley Museum and Library and the Winterthur Library. As part of our suite of collections in American Consumer Culture, this resource is ideal for interdisciplinary research, presenting a treasure trove of primary source material for the study of social history, the history of business and marketing, gender, technology and consumerism. Trade catalogues and trade cards enable students and scholars interested in consumer culture and the history of marketing to research the social and cultural histories of style, race, class, gender, and imperialism. Catalogues from iconic retailers such as Sears, Roebuck & Co., Bloomingdale’s, Montgomery Ward, Aldens, Charles William Stores and Spiegel. Explore the history of popular brands such as General Electric, Heinz, Johnson & Johnson, Kodak, Hotpoint, General Motors and Colgate. Examine advertisements reflecting one hundred years of changing commercial tastes and consumer trends, attitudes towards race, the family and domestic sphere, and advancements in technology. A variety of industries and products are represented in the form of trade catalogues, fabric samples, sales packs for travelling salesmen, mail order forms, price lists and more. A highly visual record of fashion and clothing, bicycles, home furnishings and furniture, food, household appliances, cosmetics, home remedies and health, sports and leisure.